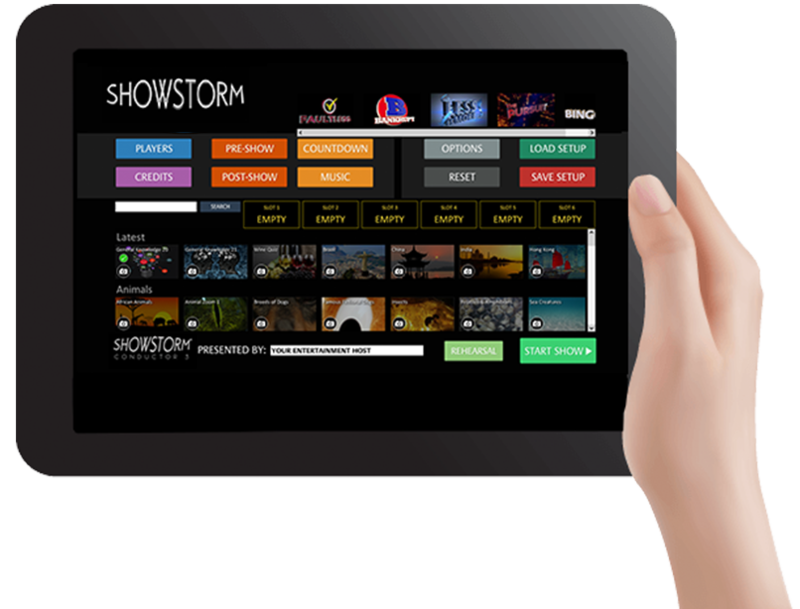 The HUB® from Showstorm® is a state of the art pre-configured hardware solution housing a suite of software tools that helps professional entertainers deliver a first class show either from a touchscreen or via a tablet. This powerful tool leverages the ability to maximise the customer experience and can generate a significant increase in revenue. The HUB® comes pre-installed with the Showstorm Conductor™ a compendium of premium licensed content and show tools which can also be utilised to power your complete DJ and Karaoke solution. Full onsite training and comprehensive documentation support for all formats. High quality bespoke CGI with YOUR branding throughout every application. It is proven that the HUB® doesn’t cost money, it makes you money! Over 20,000 pre-loaded Easy, Medium and Hard difficulty questions and answers. The HUB® can also be utilised to power your complete DJ and Karaoke solution. 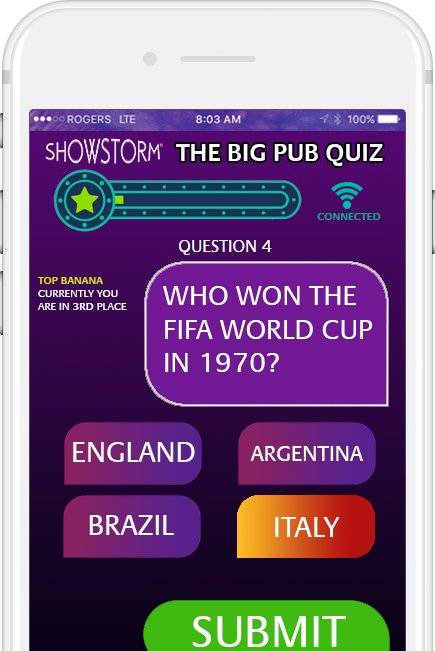 Choose from Top TV brands or our own premium gameshow formats. The HUB® is locked down to prevent data theft and corruption. Unique and manufactured by Showstorm, this is a prosumer grade wireless buzzer system that is compatible with all HUB® gameshows and the Showstorm Conductor™software. Engage with your audience during a live show using your own branded entertainment app.